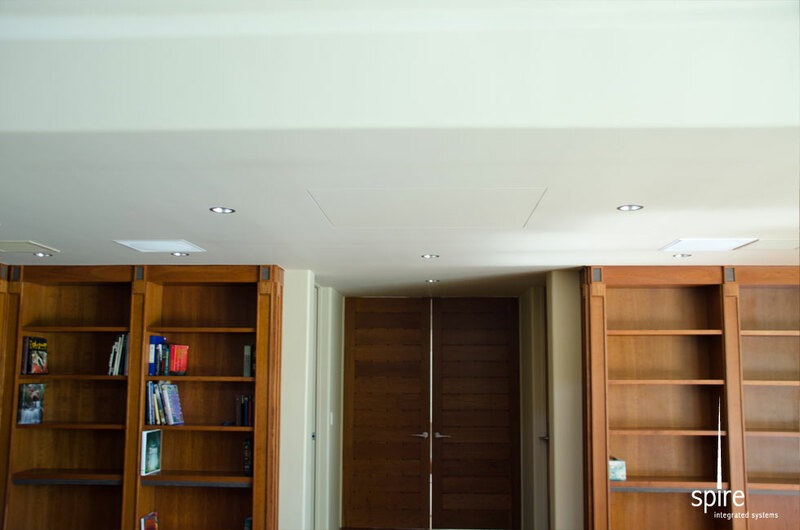 As you walk into this modern living space, you are greeted by the amble sunlight from the skylights and large window that extends from the ground to the ceiling. 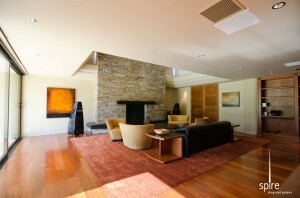 A pleasing space to enjoy a book next to the fireplace but it much more than that. 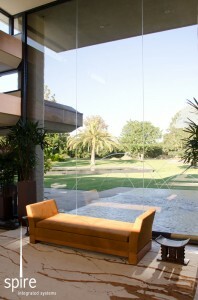 With a press of a button, shades lower covering every window, blocking all sunlight. 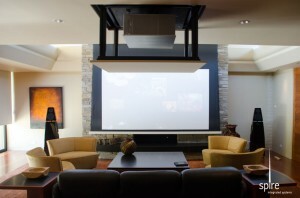 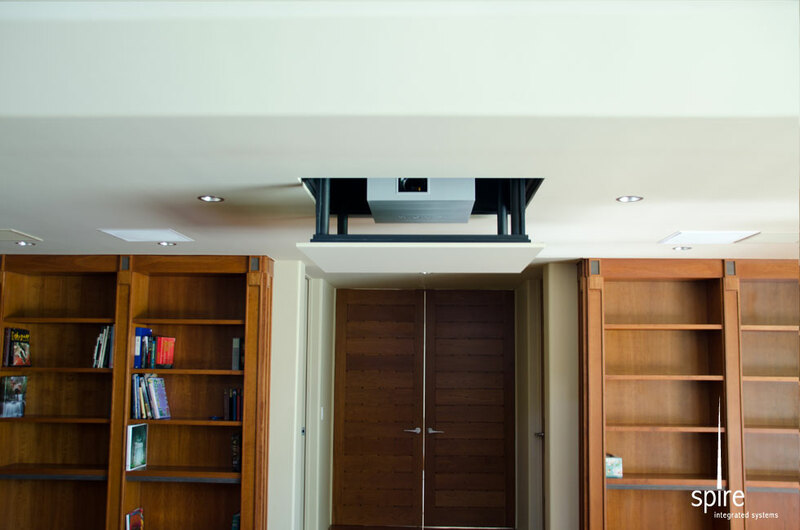 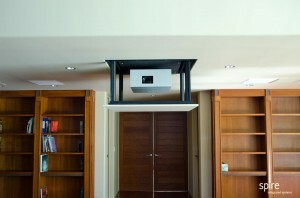 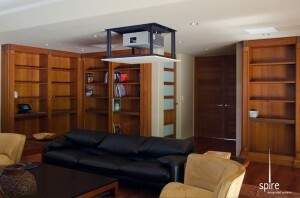 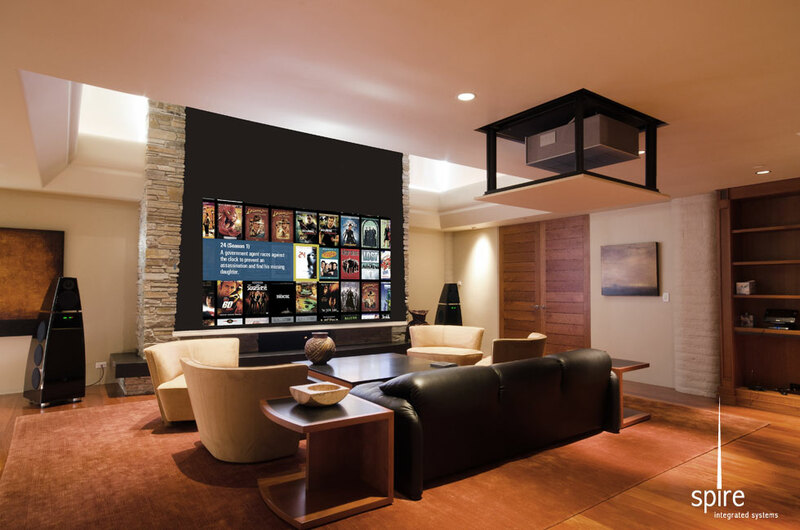 A screen descend from above the fireplace and a projector lowers from the ceiling. 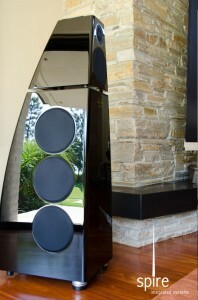 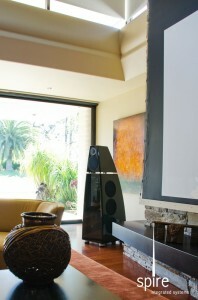 The Meridian speakers that were artfully accenting the room begin to play. 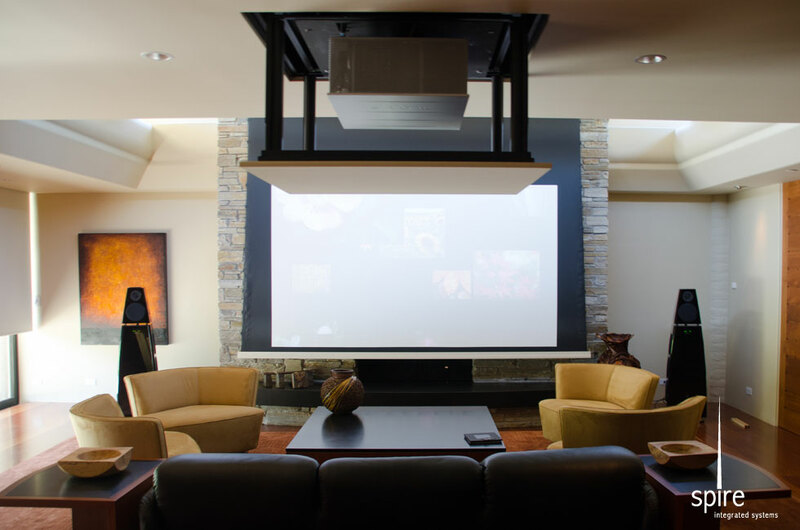 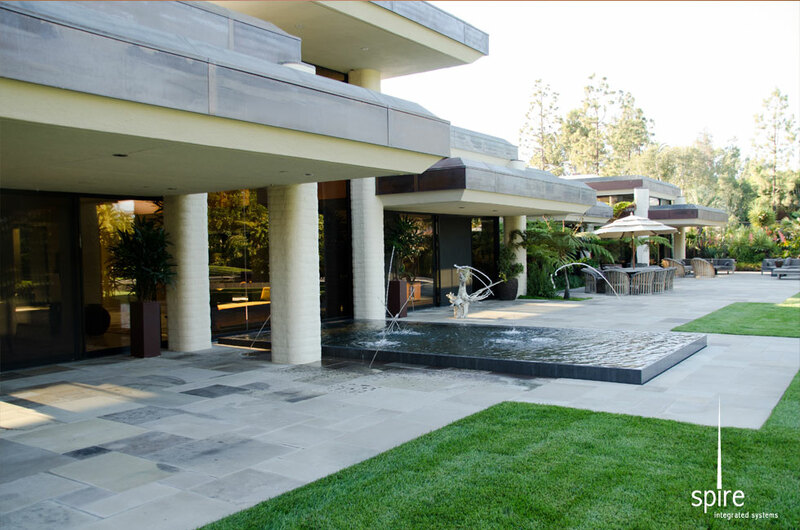 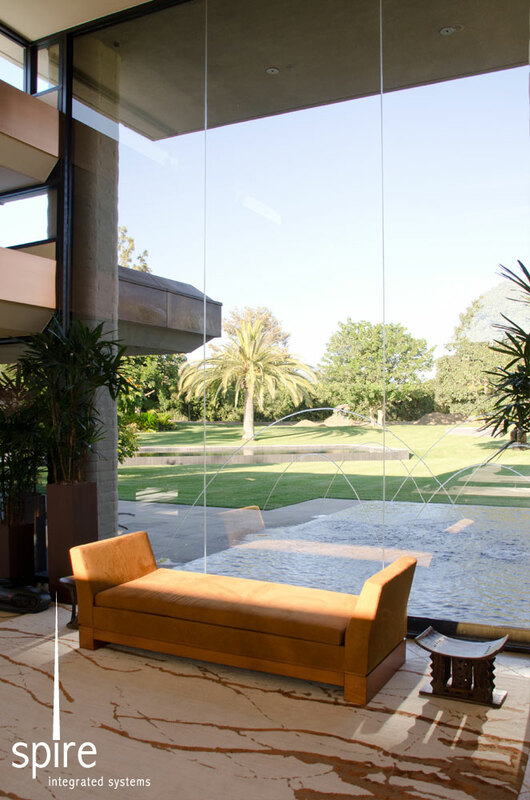 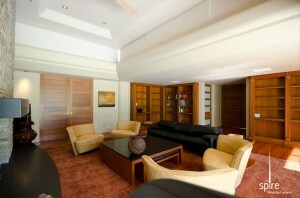 This modern living space seamlessly is transitioned to a high performing theater room.